Working from your own home-office has a lot of advantages. It also comes with a lot of disadvantages. On the plus side, of course there’s the very obvious ‘wearing pajamas to work’ cliche, but there are also less obvious benefits too. For instance, you can save a lot of money (and calories) by eating from your own kitchen rather than an offices nearest food truck. The negatives occur when the expected conveniences of office-life simply aren’t available. Maybe not having access to a water-cooler isn’t a problem for you, but what about the benefit of a predetermined filing system? How about unlimited printer-ink or sticky notes? Without enough foresight and prep work in your setup, unforeseen problems can pop up like wildfires. Many of the solutions an office uses (infrastructure, space, high capacity printers, copiers, laminators) might be out of reach for you. There are a few hidden gems. These seemingly simple pieces of equipment are actually swiss army knives of productivity, capable of doing a lot more than they appear to on the outside. Let’s take a look at the unassuming label maker, a tool that can do a lot more for your life than ‘label things’. This is probably the very first thing that came into your mind; labeling the various drawers and containers around your office. This was the first thing you thought of for good reason. It’s actually pretty useful. It’s very easy to have ‘messy desk syndrome’. That’s where instead of putting things back where you found them, you leave them on your desk for ‘easy access’ later. It starts with a cup of pens, then moves to a reference book. Before long you’ve got things from months ago in plain sight and your desk looks straight out of A&E’s Hoarders. When you have ‘soft’ spots for things to go, you’re a little better off and things gravitate to their homes. When you have ‘hard’ spots for things to go, spots dictated by a label maker, you end up putting things away more-often-than-not. This leads to an end result where you not only know where everything is, but the removal of clutter makes your space physically look better. This may seem a bit crazy, but it’s completely legitimate so stick with me. A well researched psychological phenomenon is on brain glucose and its effects on decision making. In layman’s terms it boils down to this: Every decision we make drains some amount of energy. Because we’re making micro-decisions throughout the day, our decisions become worse over time. It’s been shown to lead to what psychologists call “Irrational Decisions”. Even the smallest decisions are guilty of draining brain-power. This is actually why Einstein, Steve Jobs, and Mark Zuckerberg famously wore the same outfits every day. It was one less decision for them to make. This is real, researched stuff. How do label makers come into play here? Organization is most definitely an activity that affects your level of decision fatigue. Thinking about ‘where to put things’ happens so often that you’re unknowingly opening yourself up to making potentially costly ‘Irrational Decisions’. Labeling what things are and where they go is going to improve your productivity in the long-run far more than you realize. It’s not until you’re actually holding one in your hands that you realize the full potential of the label maker. With this new tool available for you, suddenly your mind starts using it to fix problems you didn’t think were even related to labels. Ever plug your USB in upside down? I know you have, because we all have. Well guess what? A label-maker fixes that for you! All you have to do is label one side ‘up’ and you’ve eliminated one of the biggest pet peeves of modern technology. This is just a small, simple example of all the lifehacks a label maker brings. Keep accidentally using the wrong outlet? Do you keep forgetting the spelling of that new client’s last name? Do you want to leave passive aggressive notes to your roommate on the milk they keep drinking? A label maker solves all of it. Trust me, when you actually have this, you’ll be using it non-stop in ways that surprise you. There’s a reason why the logo and icon for Hulu is green, and Netflix is red. This wasn’t a mistake, but a meticulously planned branding choice. That choice was made because humans use color all the time to form mental shortcuts. Both associations with, and differentiations between things can be formed with color. This visceral processing is intuitive, even faster-than language. I mention this because it just so happens that when you buy labels for your new label maker sidekick, you can get them in a rainbow of colors. This expands on the ‘decision fatigue’ from an earlier point. Everything for client #1 can go in the bin with the blue labels, everything for client #2 can go in the drawer with red labels. These mental shortcuts speed up your workflow and lead you to getting even more done. The less executive processing you have to do throughout the day, the better. If you’re clever about it, a color-coded workspace can improve your efficiency like crazy and your label maker is the tool for the job. If you’re working from a home office, you are eventually going to need to ship some physical packages. Even 100% digital businesses need to ship things quite often. You’re eventually going to need to ship physical backups to a separate location for that overprotective client, or you may decide to ship out special items as a lead generation tactics. Maybe you’re one of the few who as of yet truly hasn’t needed to send out a single physical package. If that’s the case, get ready, because the more success you see means more physical packages both outbound and inbound. Along with this new workload will come an assortment of related hassles. Handwriting your shipping labels is obviously out-the-window for reasons of clarity. You don’t want an undelivered package to be your fault because you scribbled a little too fast. Maybe your ‘8’ looks like a ‘3’ and everybody knows it but you. Why risk it? That’s where your new best friend comes in. With a label maker you type what you want and print. End of story. For most label makers, you might also be able to save commonly used labels for effortless future printing. This saves time in the event that you find yourself sending things to the same place often. Shipping packages has never been easier. Since the last point talked about the hassle of using a printer, now might be a good idea to talk about the elephant in the room. Ink is expensive. A traditional office covers this expense, but for many home-office items the inexplicably price of ink is a major factor. With a traditional printer, they practically give the hardware away and recoup via ongoing overpriced ink sales. In fact, the price of printer ink is so astronomically high that it’s oftentimes cheaper to buy a new printer than to buy replacement ink cartridges. This is the beauty of your label maker. Most label makers don’t even use ‘ink’, but rather use a thermal technique to print. It’s really that easy. Put the labels in and print. With a label maker you won’t ever have to enter the nightmare land of high-priced ink again. 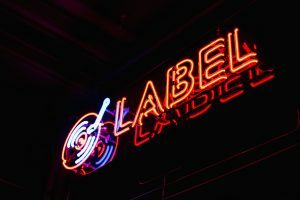 If you’re a business that already uses a service for your label-making needs, this is a no-brainer. Printing your own is cheaper than third party, potentially saving you hundreds! That’s hundreds of business dollars that can be going to other things, things that can’t be solved by just buying a label maker. In addition to printing your own bulk labels, have you considered the restrictions of printing just a few? What if you need just ten labels and the minimum print job is in increments of $100? On top of the physical cost, this saves you the always overlooked TIME of hiring an outside source. You’ve got to drive to the location, pick up the labels, and proof them. If you find an error, you have to wait to get them reprinted. The entire process can take forever and your time is far more valuable than money. When working from home, purchasing some items are very obvious. You need pens, paper, a computer, a router, and lighting. You’re organizing your files on your computer and maybe you even have a filing cabinet for the physical items of importance. Some other items go completely overlooked. That is, until particular attention is called to their benefits. The label maker, as you’ve just read, is most definitely one of these hidden gems. It makes shipping easy, it can save you money, and it allows for quick color-coding and endless life hacks. Not only does it organize your workspace, but it can also lead to a more organized headspace and productivity boosts. As you’re going about your day-to-day tasks, think about how a label maker can fit into your home office workflow.